28-page magazine, 13 inserted scenarios on cardstock, 64 die-cut counters, 8 color pages of Chapter H notes, scenario play aid, 4-page supplement, possible teaser scenario. 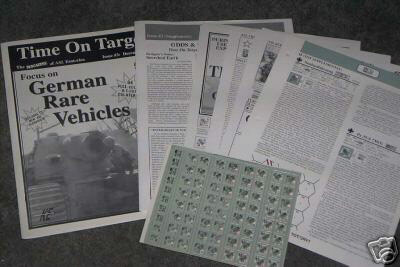 Article content includes an analysis of TOT45 (Dogs of War), an interview with Thomas Jentz (editor of two books on German AFVs), an article on a self-propelled demolition carrier in ASL, an article on vehicle-mounted artillery observers (featured in the previous issue), an article on a Marching Fire SSR, and designers’ notes and playtesters’ comments for the included scenarios. 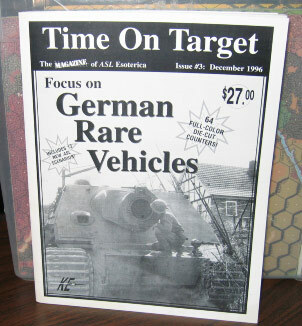 The German rare vehicle counters and Chapter H notes allow Kinetic Energy full reign in their desire for ASL esoterica; almost every vehicle, it would seem, has a strange CA, obscure vehicle notes, special modifiers, or practically a chapter to themselves (in the case of the demolition carrier). There are about an equal mix of Germans vs. Soviets, Germans vs. British, and Germans vs. Americans, with a couple of oddball actions thrown in. 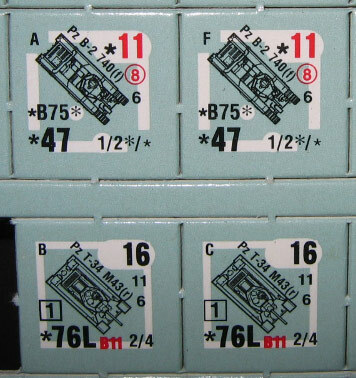 The size mix is good, too, with a variety of small, medium, and large scenarios. 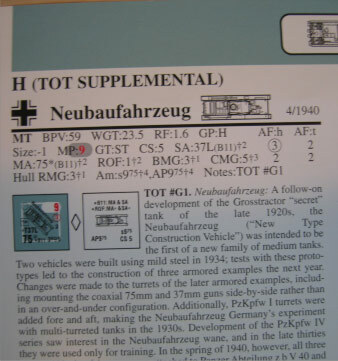 Two of the scenarios use the LaGleize map from Kampfgruppe Peiper as alternative terrain: TOT44 (…A Dish Best Served Cold) and TOT43 (Jagdtiger, Jagdtiger). The remainder use standard geomorphic scenarios (no DASL). Six of the 13 scenarios have OB; several have air support. One scenario, TOT34 (Parry and Riposte), uses desert rules, another uses night rules. Overall, the scenarios in this issue are pretty SSR-dense, especially TOT35 (Death Knell at Kalach), TOT37 (Breaching Maloarkhangelsk), TOT44 (A Dish Best Served Cold), and TOT45 (The Dogs of War). 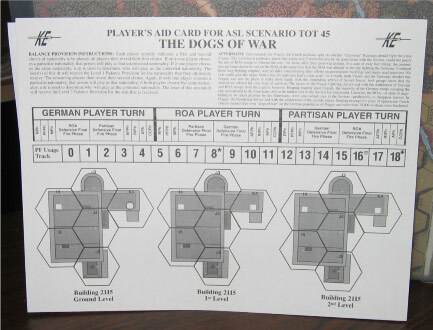 That latter scenario, though, TOT45 (The Dogs of War), is one of the most famous scenarios in all of ASLdom, the only published three-player scenario to date where each side is fighting both other sides. Most of the SSRs set up the three-player-turn nature of the scenario; the actual scenario itself is small, fast-moving and fun, making it a true classic. 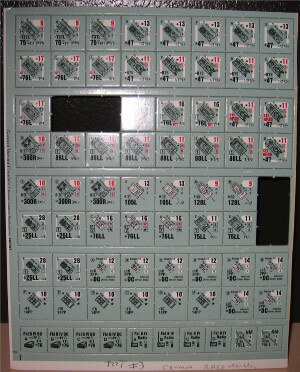 None of the other scenarios aspire to that; many of the most playable ones are sadly imbalanced, a common feature with Kinetic Energy products. However, several are worth trying, including TOT36 (Balkan Barbecue), TOT35 (Death Knell at Kalach), and TOT41 (Tiger at the Gates). Overall, though, it is the counters and The Dogs of War that make this issue of TOT so desirable.